Urban Decay All Nighter Liquid Foundation - Hit or Hype ? 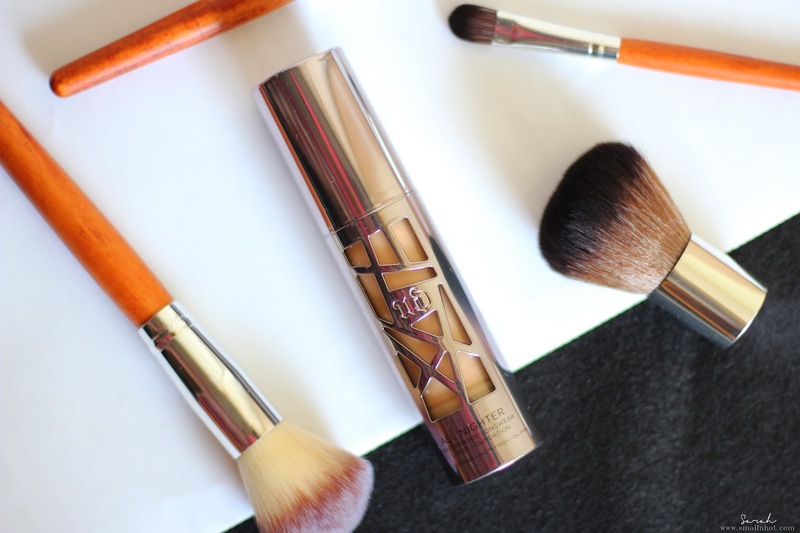 Everyone's favourite makeup brand, Urban Decay is here to introduce a brand new foundation, namely, Urban Decay All Nighter Liquid Foundation. There's quite a mixed review on this, some said it's great and others are quite disappointed with this new foundation. 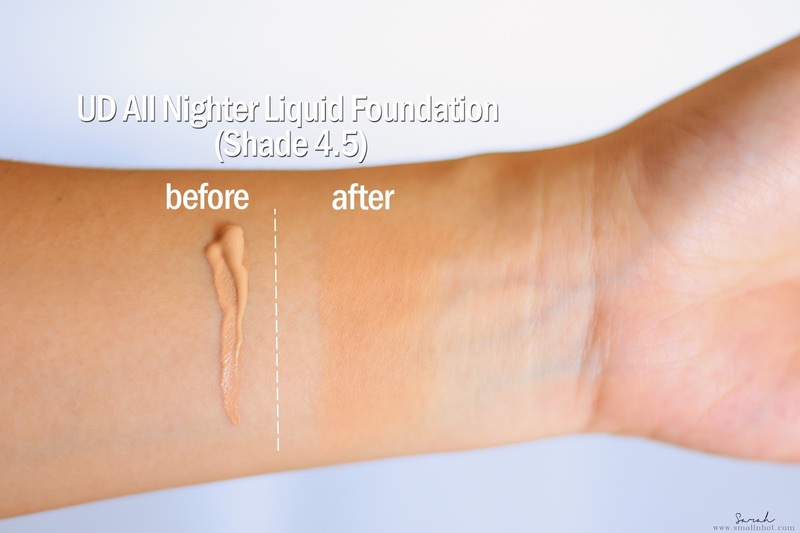 So is this All Nighter Liquid Foundation is a Hit or just Hype ? So let me break it down for you.. 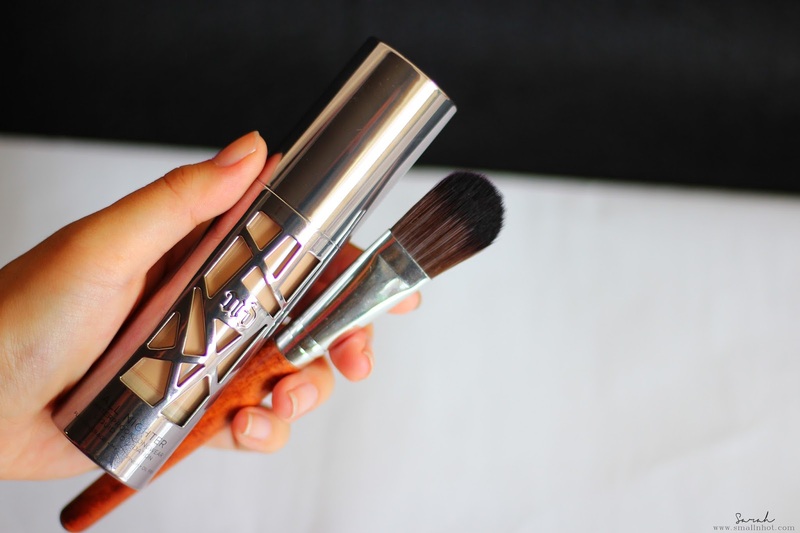 This brand new Urban Decay liquid foundation promises quite a mouthful of claim like full coverage, longwear, matte finish, waterproof and oil free. You'll LIKE it if you are looking for a full coverage base and you are more on the dry skin side. You'll find it conceals all your blemishes or scars very well. Sadly that's all the positive I could find from trying it out. You'll HATE it if you like Korean beauty kind of dewy finish, and if you are on the oily side, you'll find it gets greasy especially on the T-zone, as tho the oil has eaten up all the liquid foundation. Personally I have combination skin (oily on the T-zone and normal) so I always use my T-zone as a benchmark for all my base test, testing whether it gets greasy or not by the end of the day. And I have to say it gets rather greasy and cakey after blotting (no wiping), by mid day. So makeup touch up is definitely needed if you want this to last throughout the whole day. In terms of waterproof, it's kinda meh... I don't expect it to last under the water in swimming pool but it literally broke down under light sweating immediately and flaked. Honestly was quite disappointed with this because the waterproof claim is the reason why I got it. Anyway, the shade 4.5 is perfect for my skin tone, not too pale nor dark, on camera it's just spot on in hiding all my imperfection. But do note that this foundation will oxidized to darker shade so it could be rather tricky to color match. My advise is to pick a slightly brighter shade and it'll oxidized to match your skin tone. 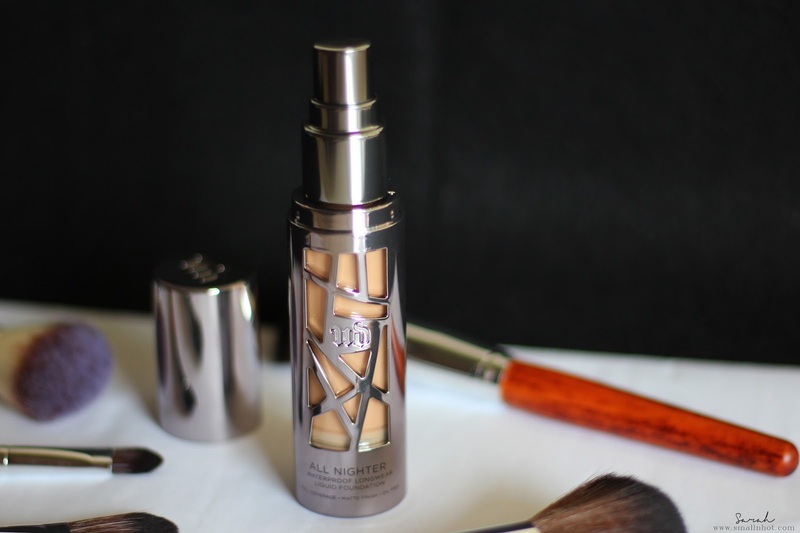 Overall, this Urban Decay All Nighter Liquid Foundation checked the full coverage, matte finish boxes, but as for the longwear and waterproof, it definitely leaves a lot of room for improvement. Anyway for the price , I think the Bourjois City Radiance Foundation would be a much better option because the result and longevity is quite comparable or should I say better then the Urban Decay All Nighter Liquid Foundation. In case you are wondering, I got this from Sephora Singapore for SGD 62. As It's still not available in Malaysia yet which means that if you want to give this a try, you can either wait for it to be launched or get it from Sephora Singapore.